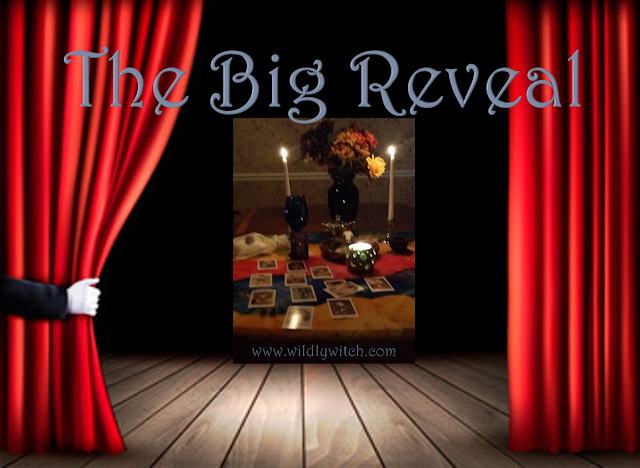 It's time for Tarot Tuesday's Big Reveal! If you haven't done so, please go to the Wildly, Witch Facebook page and select your card. For those who have, let's get to it. I used two different decks this week. Let's honor their creators by taking a look at them. Amazon description: "Look to the heart of a primeval forest where deep ancestral wisdom lies to help make sense of your world today. 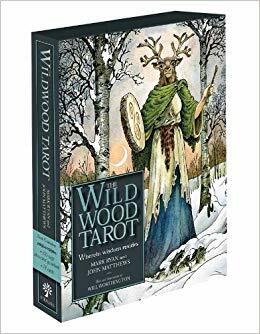 Based on seasonal rhythms and ancient festivals, The Wildwood Tarot gift set draws inspiration from pre-Celtic mythology and shamanic mysteries. This stunning new tarot card deck introduces us to classic forest archetypes—including the Green Man and Woman, Archer, and Blasted Oak--and explains how to use them as a meditation system, divinatory oracle, or reference. Will Worthington's powerful pagan images connect us with a long-lost world that can help us make sense of our own. So step back in time and you'll better understand where your life’s path may lead." Amazon description: "Step through the doors of Mandrake Academy . 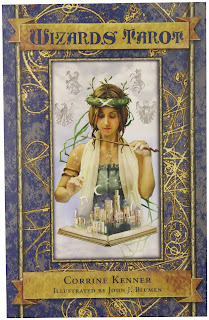 . . where you will don the robes of a magical apprentice and learn from your instructor―the tarot. Featuring gorgeous, intricately rendered digital artwork by John J. Blumen, this wonderfully unique tarot deck presents a full course in basic magic while teaching you the timeless art of reading the cards. Progress through the 78-card Rider-Waite-based deck and explore twenty-two enjoyable lessons, as taught by the Empress, professor of herbal magic; the Hierophant, professor of mythology; and other traditional figures who hail from the Major Arcana. For a study guide and more, visit www.WizardsTarot.com"
Now, let's take a look at the cards. 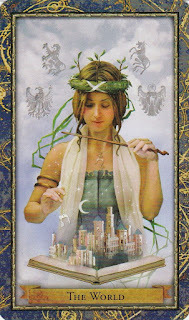 In most tarot decks, there is a woman kneeling by water with one foot in, one foot out. Above her head a star shines out. In each hand she holds a jug, from one jug she pours a liquid into the water and from the other jug she pours a liquid onto the land. 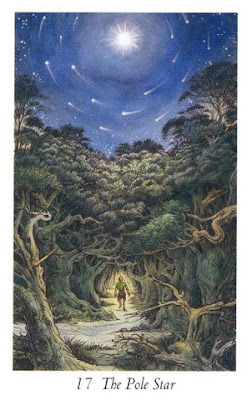 In this deck, however, we see a man, emerging from the forest, with Polaris shining brightly in the sky. When the Star appears, you are likely to find yourself feeling inspired and more hopeful about the future, than you have in a while.You will also feel more confident that your needs - whether these are emotional or financial needs, or both - will be met. The Star indicates hope for the future, inspiration, and contentment. The Star is a card of spiritual connection. The Star is a very positive omen: A period of calm, and stability, that follows the storm that was The Tower. The Star indicates that you have come through your tough times with a renewed sense of yourself and the world around you, you are full of calm, well-balanced energy and you are open to healing the wounds of the past. Whatever mental, emotional, physical or spiritual issues you were experiencing are now behind you and you are ready to embrace what your future holds. Trust that the universe has a plan for you and trust the feeling you have that everything is going to be OK. You will be feeling confident in yourself, and people will like you for who you are. The Star can also indicate creativity and artistic flair, so now would be a great time to take up an artistic hobby. 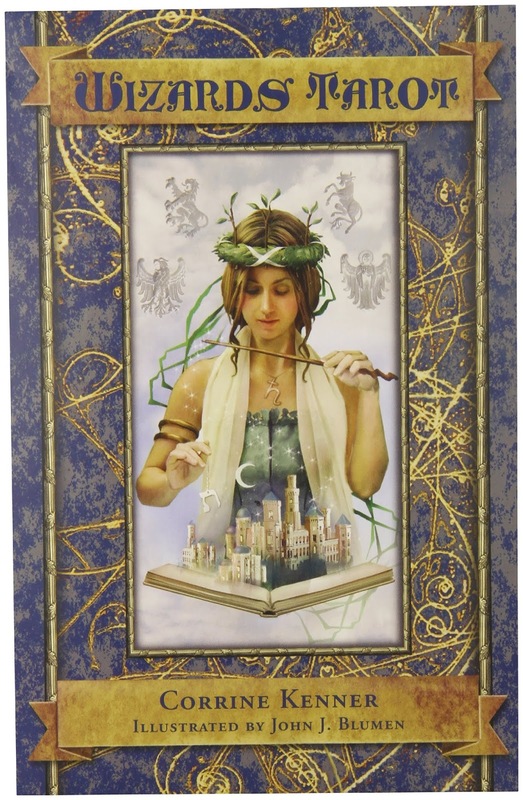 The World Tarot card signifies having the world at your feet! It can represent new worlds opening up for you, so you can expect to be welcomed by the people in the countries you travel to (The world card is a card of traveling). The World can also mean you will have the world at your feet in another sense- that you will be successful and the opportunities available to you at the moment are endless. You have gone through the trials and tribulations of the rest of the Major Arcana, you have endured the hardships and learned your lessons and now you will reap the rewards. You should be proud of what you have achieved, it has not been easy to get here but you’ve done it. The universe is smiling upon you and luck is on your side when this Major Arcana card appears in your reading so grab the opportunities available to you. The World can represent the completion of a challenge, such as a college course or a project or can represent finally achieving a dream such as starting your own business, getting married, or having children. You have reached the point where you can be happy with what you have accomplished. Success can bring a whole new set of challenges or worries so make sure you’re not carrying the weight of the world on your shoulders. You’ve worked hard to get to this point so stop and savor the moment! Celebrate your accomplishments! How did you do? Come back to the Wildly, Witch Facebook page, and let me know. I'm here to support your growth. Let me know how I can best do that for you.